Envirosafe Ireland supplies Polymeric Contamination Control Flooring products which are designed to attract, collect and retain contamination, preventing particles and microbes from getting into your critical areas. Polymeric Contamination Control Flooring is typically installed wherever contamination is a concern, e.g. entrance and exits to cleanrooms, critical areas, changing rooms, transfer hatches and corridors. 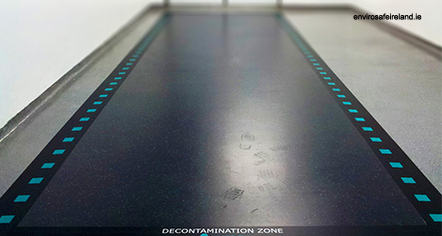 Polymeric Contamination Control Flooring is available in a range of grades and colours to suit all requirements. 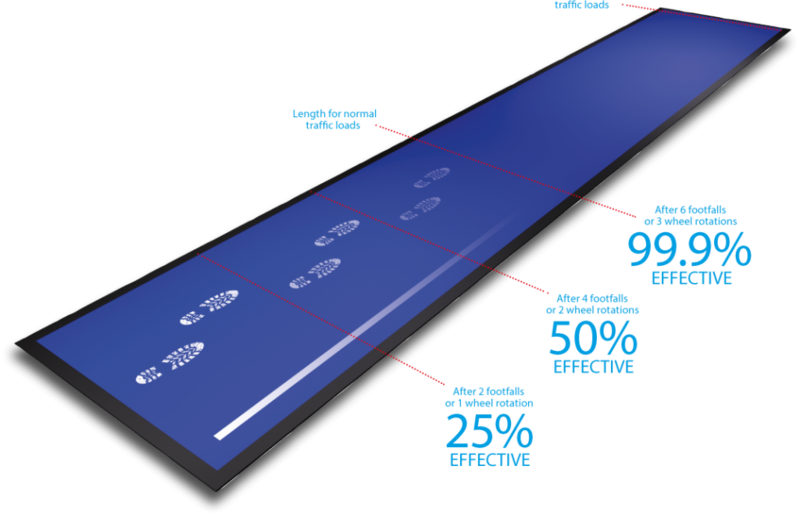 When used to replace peel-off tacky mats, massive cost savings can be achieved and contamination control is far more effective (99% for Polymeric Contamination Control Flooring, approx. 27% for tacky mats). Polymeric Contamination Control Flooring is more environmentally friendly also as layers are not peeled regularly. Independent studies are available to verify effectiveness of Polymeric Contamination Control Flooring, contact us for further details. Cleanroom, Pharmaceutical, Electronics, Hospital, Medical Device, Data Centre, Optical, Automotive, Food Hygiene, Biomedical.